Currently we have installed Splunk integration app (version 1.1.6 current latest version) in ServiceNow sandbox region. But recently we have upgraded ServiceNow instance from Kingston to Landon version, So Splunk integration version is compatibility with Kingston or lower versions. Could you please check and give us an idea when do we get the compatibility version for Landon release? Any update on when the London/Madrid add on version will be released? Any updates yet on the new release date? I've been told it's stuck on the legal side at ServiceNow. Does anyone know if there is an equivalent thread on the ServiceNow forums we can link to? Writing your ServiceNow rep might help too. Splunk is planning to upgrade the add-on for service now to support London release, but it is still being worked upon and we don’t have ETA for it yet. It's now January 2019. Any word on London support? let me check on it. If you do look into this, please note that the current release of ServiceNow is even further ahead of London, it's currently on Madrid making the add-on two versions behind. Currently the Kingston add-on does not correctly generate incidents into ServiceNow on London so this is a feature breaking issue for what most customers would be utilizing the add-on for. Trying to be a squeaky wheel over here to see if we can have an ETA. We would really like to get up and running with this add-on to help out our internal customers. 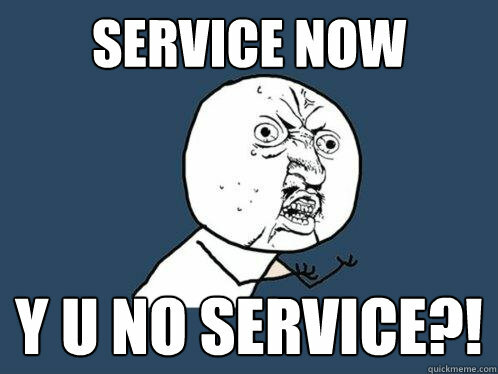 We are also running the London version of ServiceNow and we would like to get an ETA on the new TA release. Servicenow TA 4.0.0 is scheduled to be release by end of this month (Tentative Date : 26 Feb 2019) , which is compatible with “Splunk integration app” London version. Will this version also Support Madrid? Or will we have to wait another year for support for Madrid? Hi, would it be possible to get a new ETA for 4.0.0? It's now March... how much longer? Any updates yet on the new release date? We've escalated with our Splunk rep to try to make sure this is a high priority. We have a big need to integrate Splunk and ServiceNow and the new version of this app will help make all our dreams come true. Please update this answer. We are long past 26 Feb 2019. Created my account just to post this. Other than having been a Splunk proponent in another life. We're starting to plan our upgrade to Madrid. We may go entire London without compatible Splunk app. We just started a POC of the app when we did the London upgrade last Fall. Obviously, that POC ended abruptly. If we had been running on it in prod in Kingston, it would have been an unacceptable impact to delay a London upgrade. When we POC we will have to consider this type of delivery delay may happen again before we decide to use it. So, in addition to finding out when this (London compatible) might actually come, would be good to know when Madrid compatible app will come, and what type of assurance Splunk can offer that this type of delay won't happen again. I'm with you. There's big promises being made to deliver automated ticketing and it was learned we'll be moving to Madrid shortly as well. It's a scary proposition to think functionality would break due to integrations published by Splunk that aren't maintained. HI there, any update on the release of the London version of the add on? Thanks,Is there an update to the London version of the add on? Waiting for a compatible release here also.